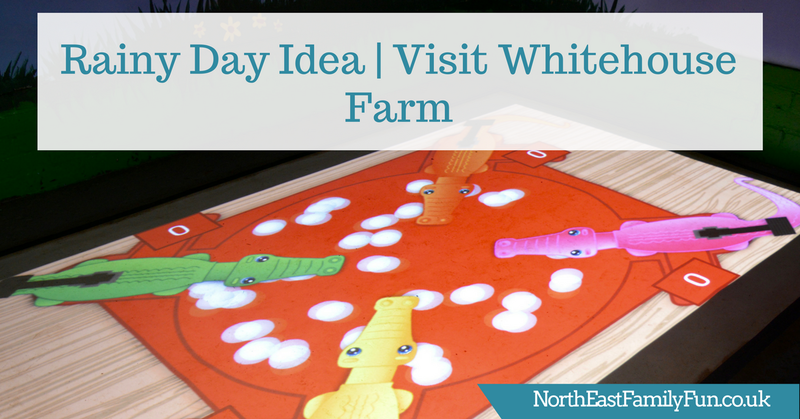 I will begin this post by saying that Whitehouse Farm in Northumberland is one of our favourite days out in the North East. I've visited every year for the past 12-13 years and there's loads to do for all ages from toddlers to teens and grandparents. 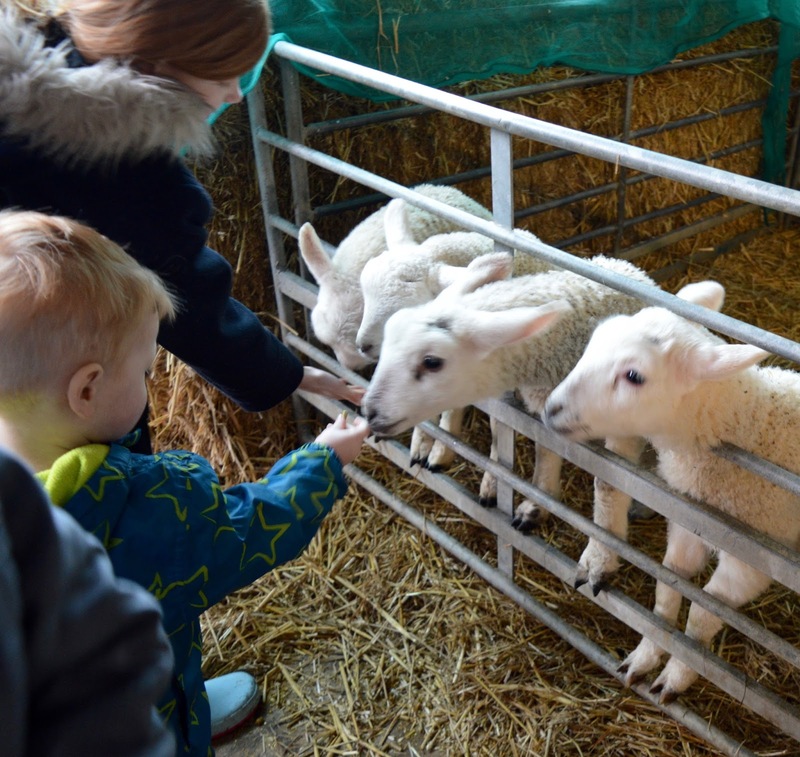 It's the kind of place you can spend the full day and it's especially lovely to visit on a summer's day when the kids can play on all of the outdoor attractions including a fab adventure playground, tractor rides, frisbee golf, tyre rides, trampolines, go-karts and more. 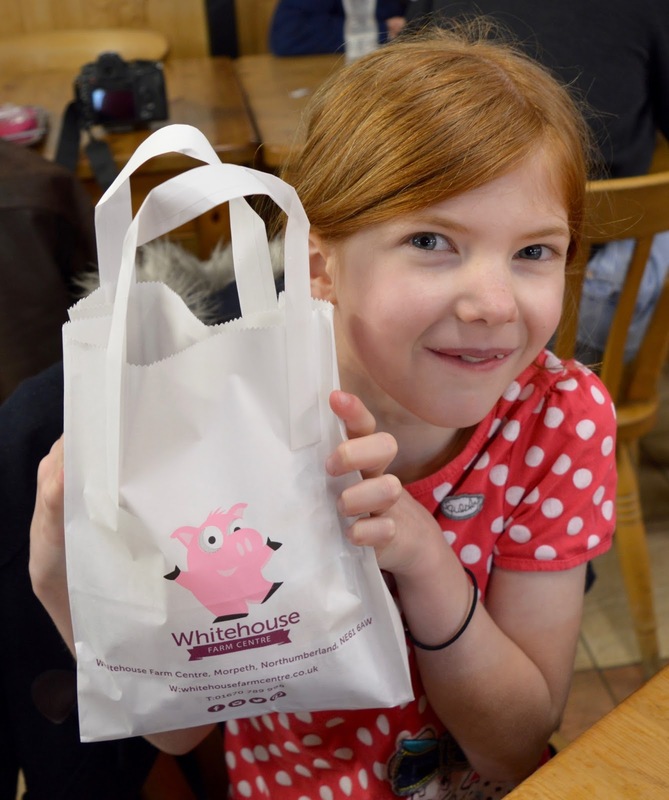 They also offer birthday parties which are extremely good value - you can read about Heidi's birthday at Whitehouse Farm last year here. 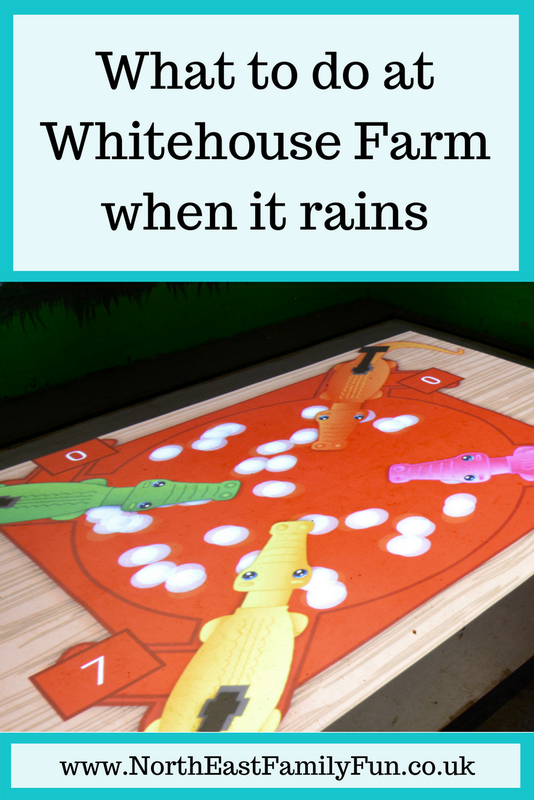 First of all, check out Whitehouse Farm's special events and classes. 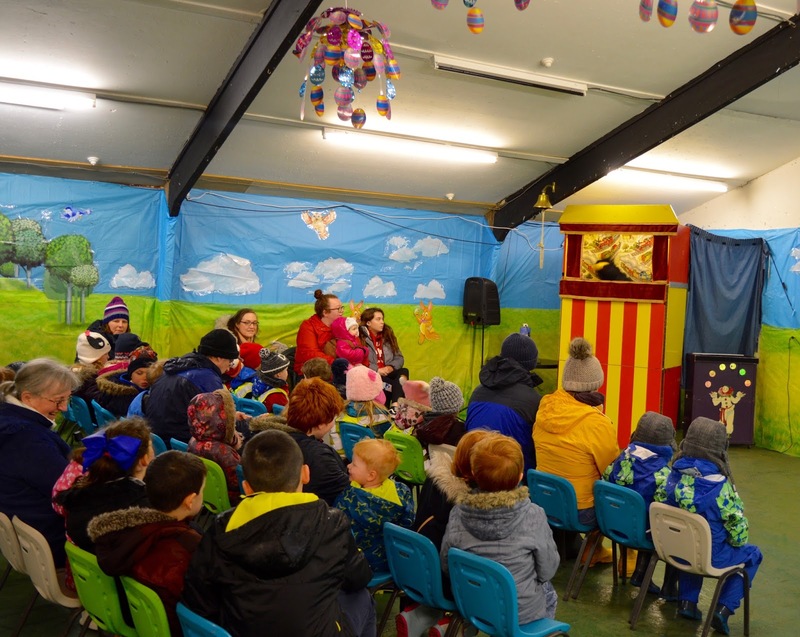 There's always a lot going on in the events barn and as we visited over Easter, there was a fab magic show for the kids, Easter party games and Easter crafts all included in the price of admission. 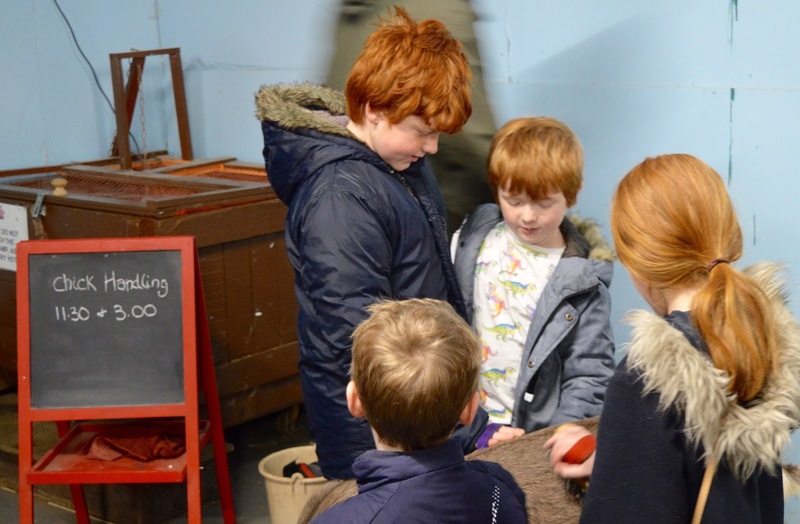 There are animal handling sessions every day at Whitehouse Farm, just check out the blackboard inside the petting barn for times. 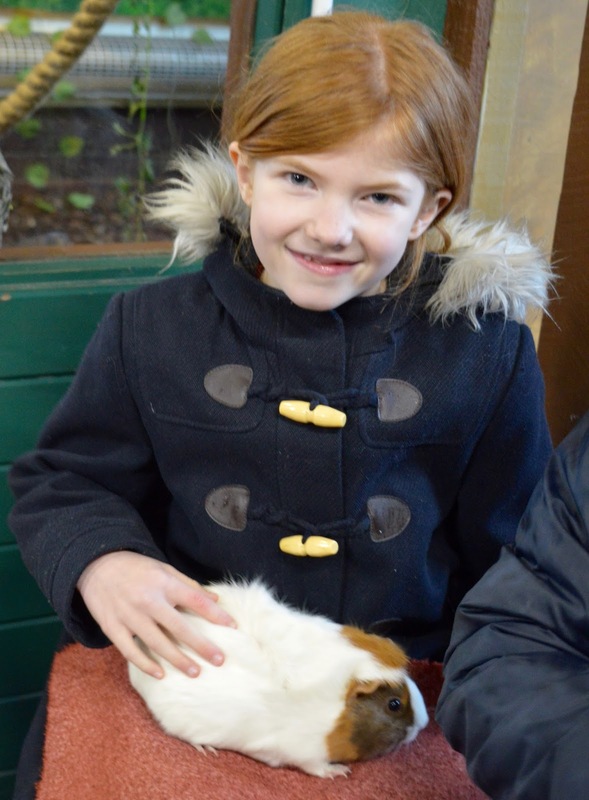 These sessions are always indoors and range from Guinea Pigs and Bunnies to Reptiles, Spiders and Chicks. It's something my children always like to get involved with. 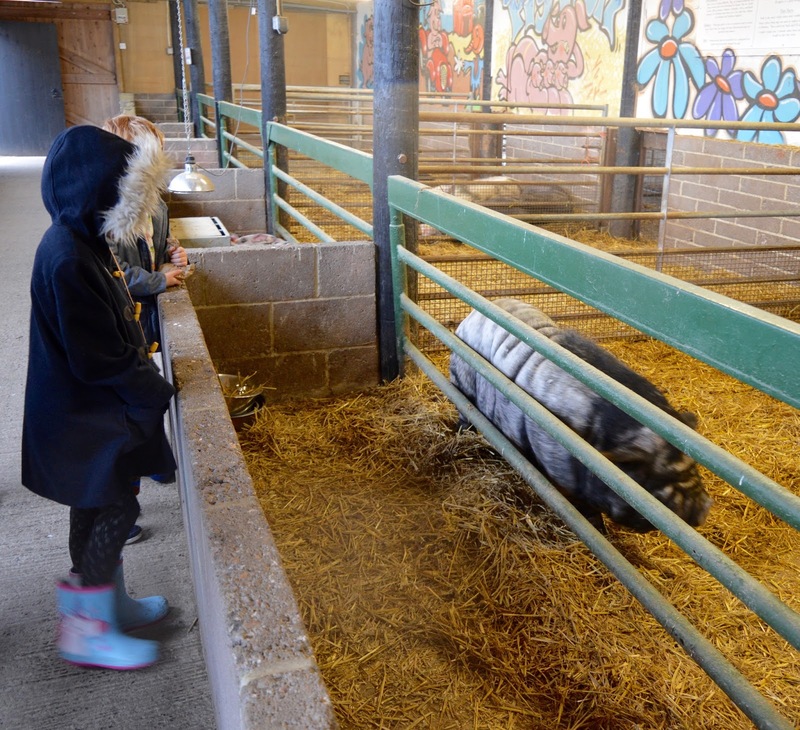 We were also able to groom a goat in the indoor barn at various points throughout the day. Four children can do this at a time so there's never much of a queue. The kids loved helping out. 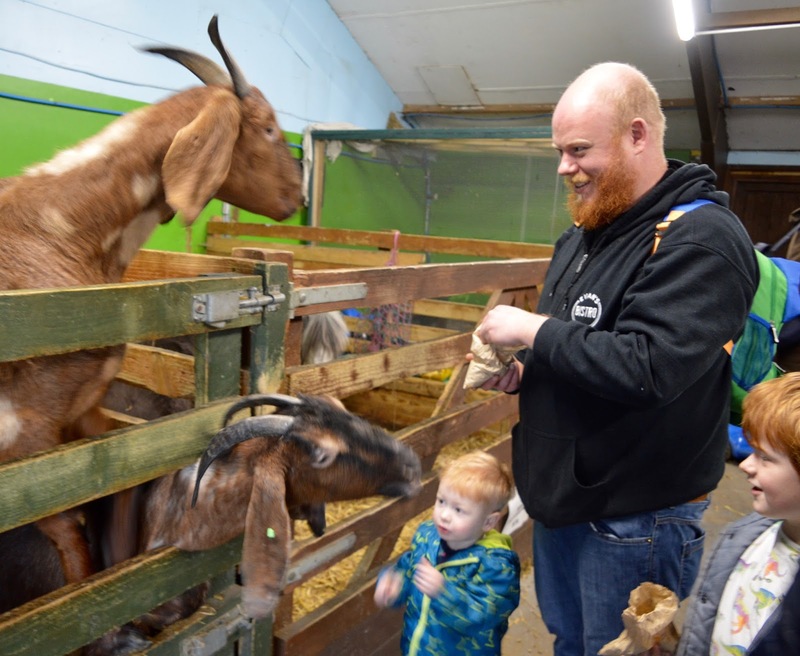 Don't forget to buy a bag of food at the farm entrance too as there are lots of animals to feed indoors too, including a rather greedy goat! 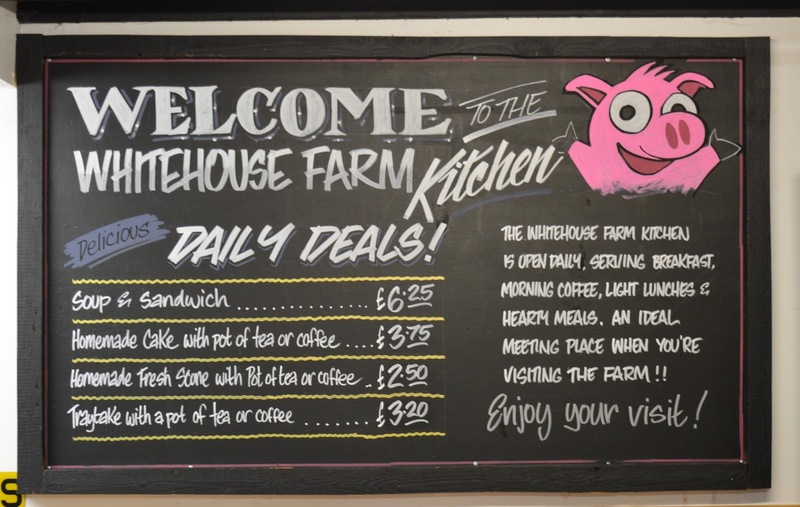 Since our last visit (which was only last April), it feel like Whitehouse Farm has invested quite a bit in upgrading their site. The indoor picnic barn is one of those places. They had the heating on high when we visited and it felt practically tropical and was a welcome break from the wet and cold outside. 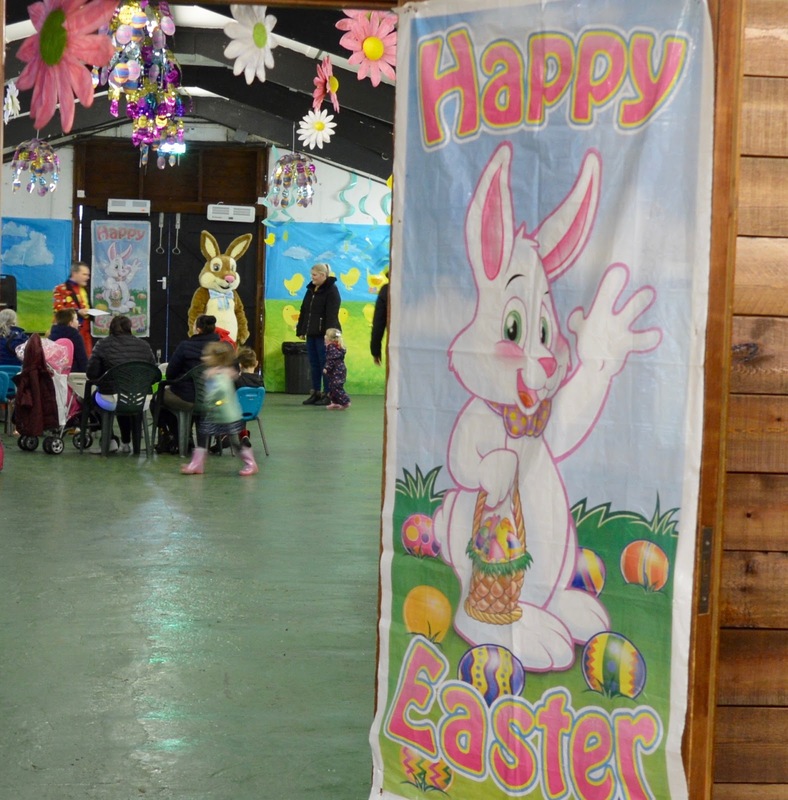 This barn is filled with tables where families can enjoy their own picnic and packed with indoor activities too. 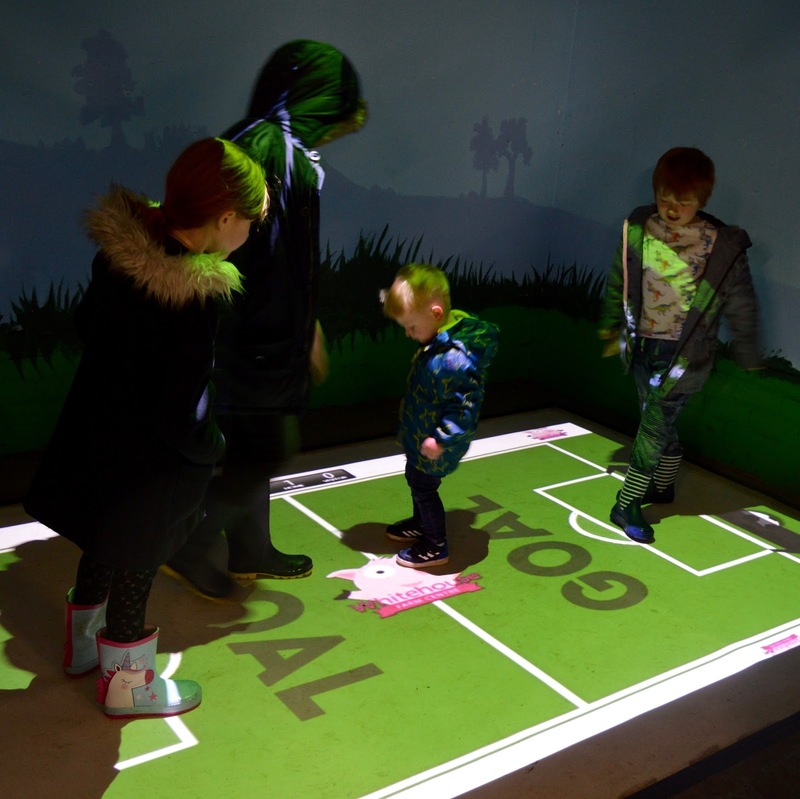 We loved the new Lumoplay Interactive Floor in here. 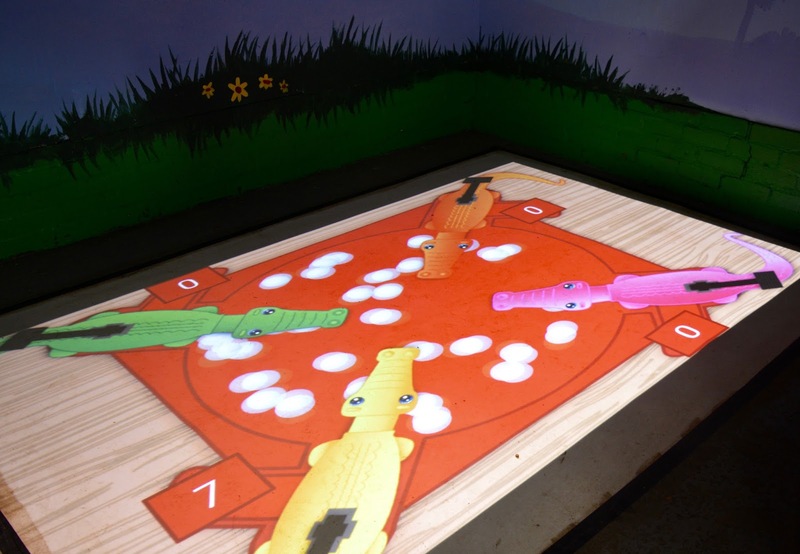 There are 20+ pre-programmed games to choose from on an iPad that is mounted on the wall. We loved playing football, virtual hungry hippos and follow the car. It was loads of fun and a good way for the kids to play together as us grown-ups warmed up a little. 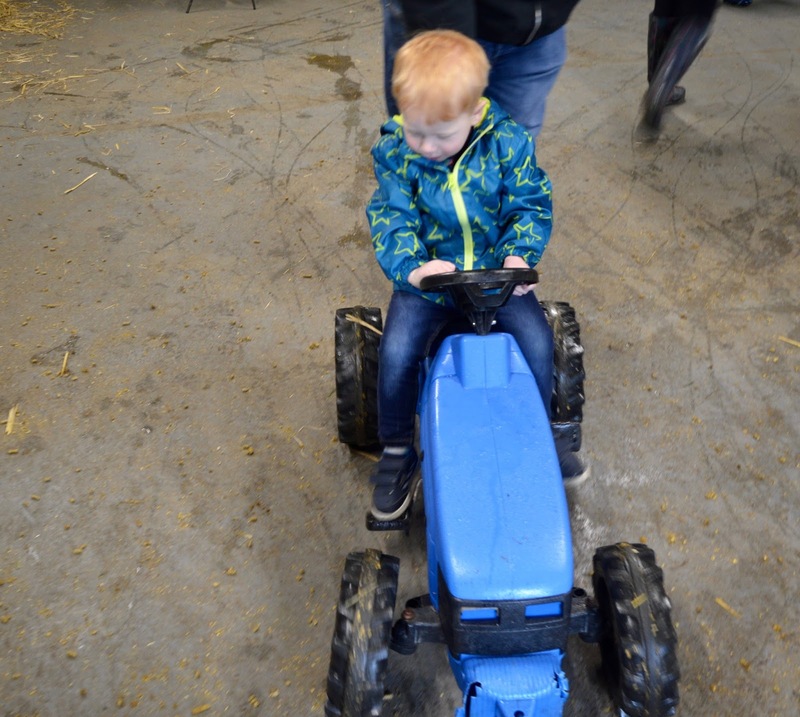 The picnic barn is also home to lots of giant games and toys (in replacement of the snad pit that used to be there) which are all in really good condition and again, lots of fun for kids of all ages. 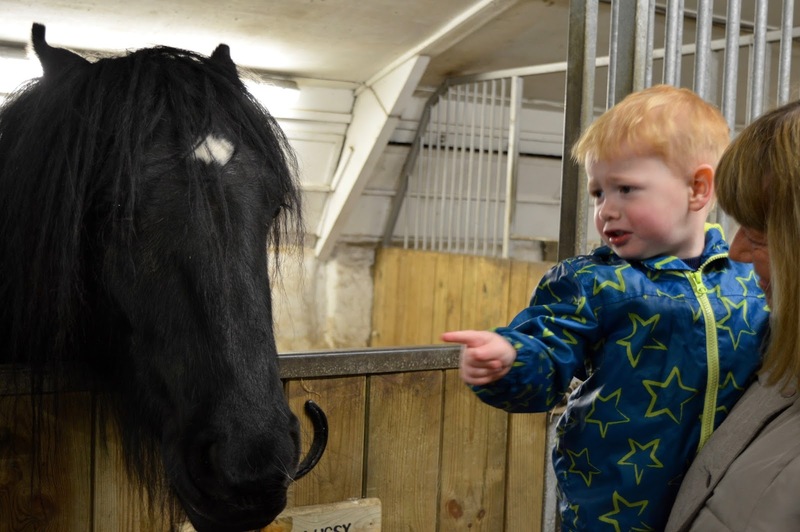 Most toddlers I know are obsessed with Peppa Pig and my nephew was so excited to meet these guys in the pig sty. 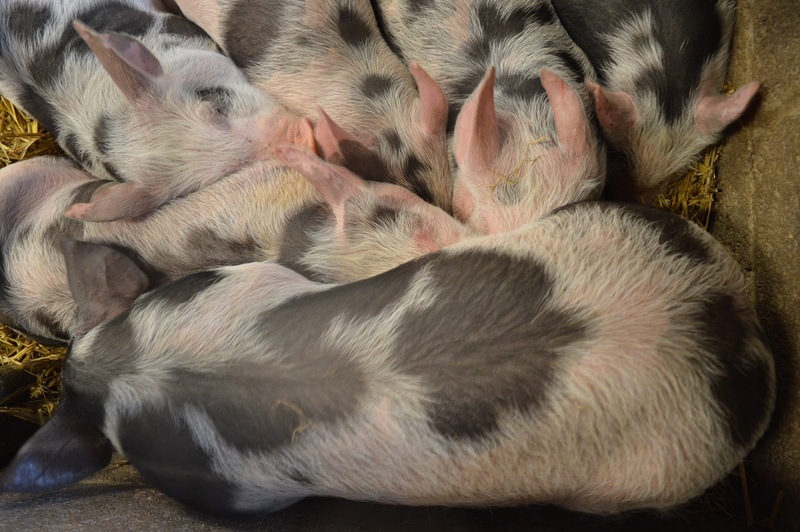 Heidi's favourite animal is also a pig (she keeps nagging me for a pet one - never going to happen) and although you may need to peg your nose, these animals really are a delight to watch, so full of personality and very amusing! Definitely always a highlight of our visit. 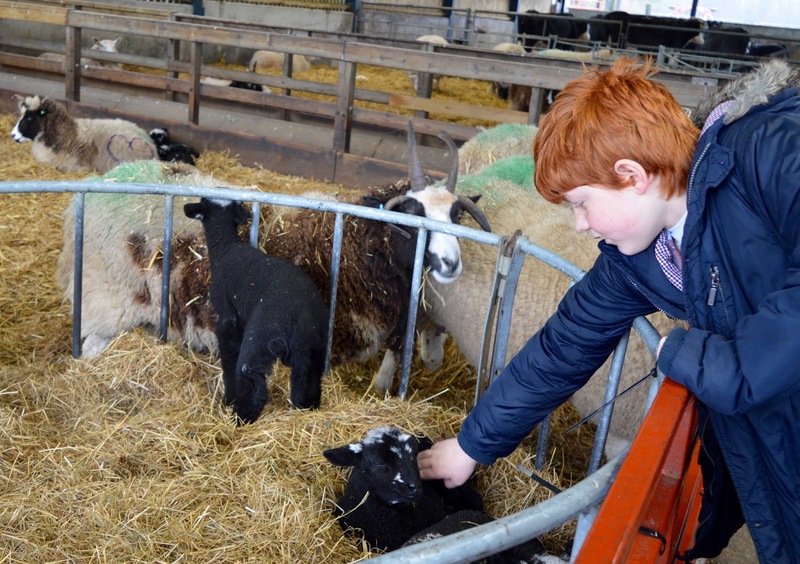 The outdoor animal barn near the pigsty is where you'll find the sheep, cows, horses and alpacas. 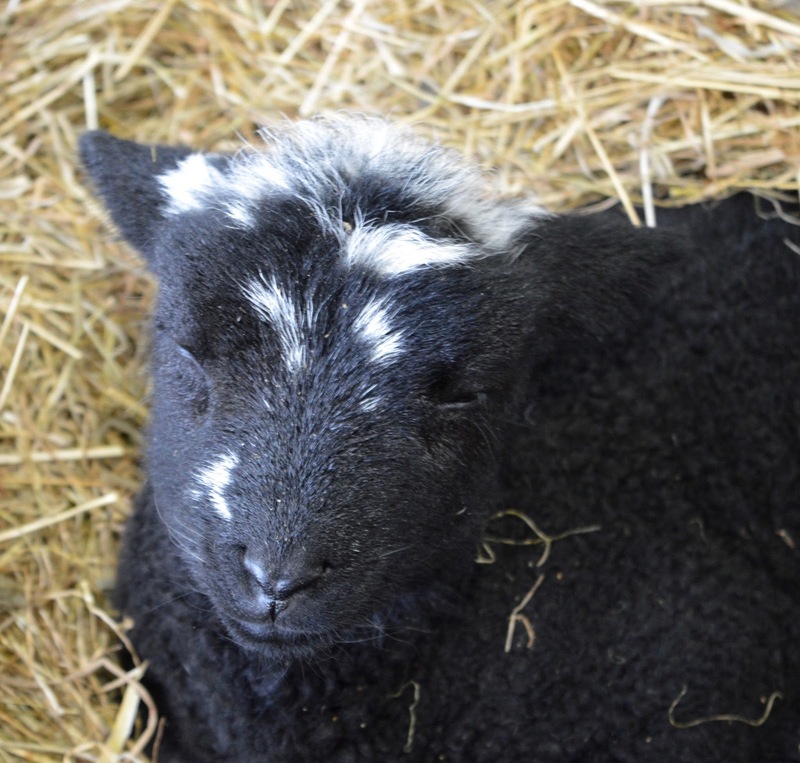 As we visited in Spring time there were lots of new lambs to stroke and meet alongside regular bottle feeding sessions throughout the day. 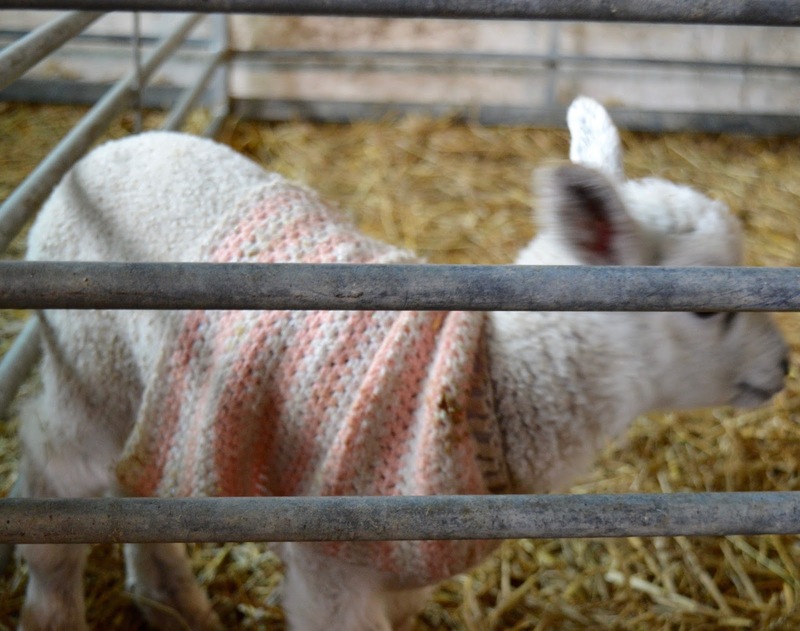 I loved that there were lots of signs up in the barn explaining what the different markings meant on the sheep. 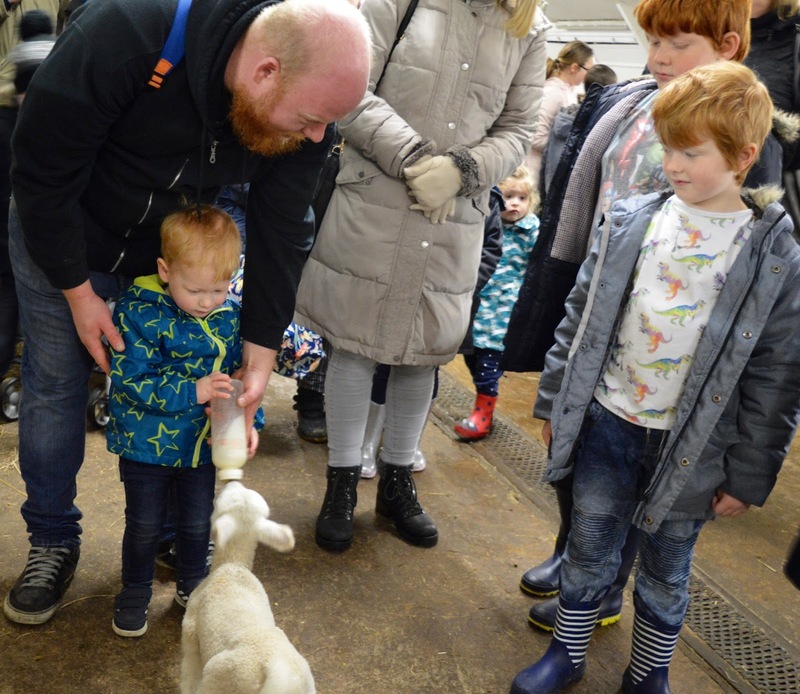 Meeting lambs is always a Spring highlight for us and Whitehouse Farm do it so well! Farm life is exhausting and we were all ready for lunch at this point. 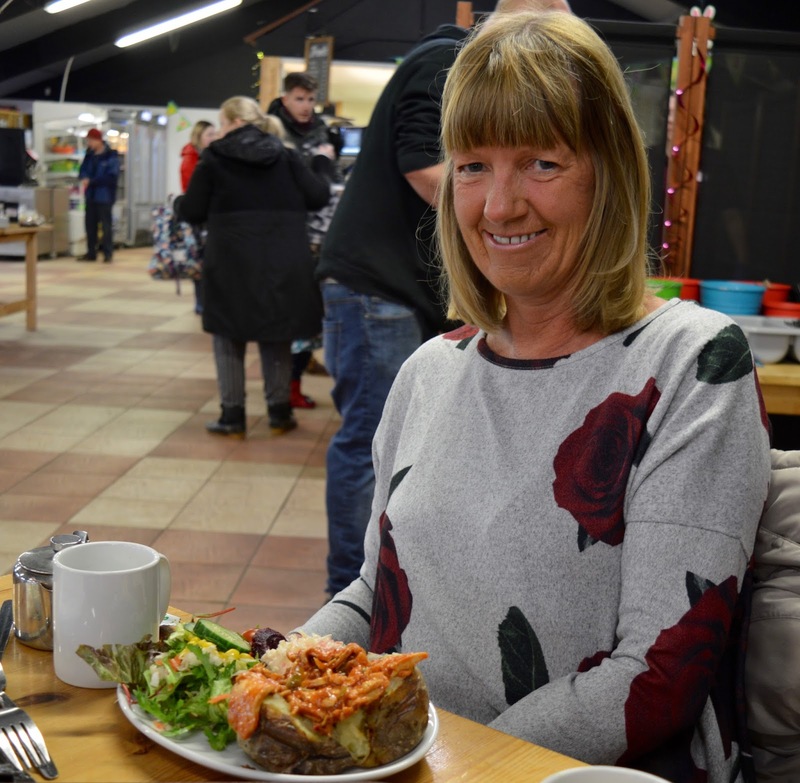 The Whitehouse Farm cafe serves a variety of food for all tastes and is very reasonable. My brother went for a burger meal, I enjoyed fish and chips and my mam went for a healthier jacket potato and salad. 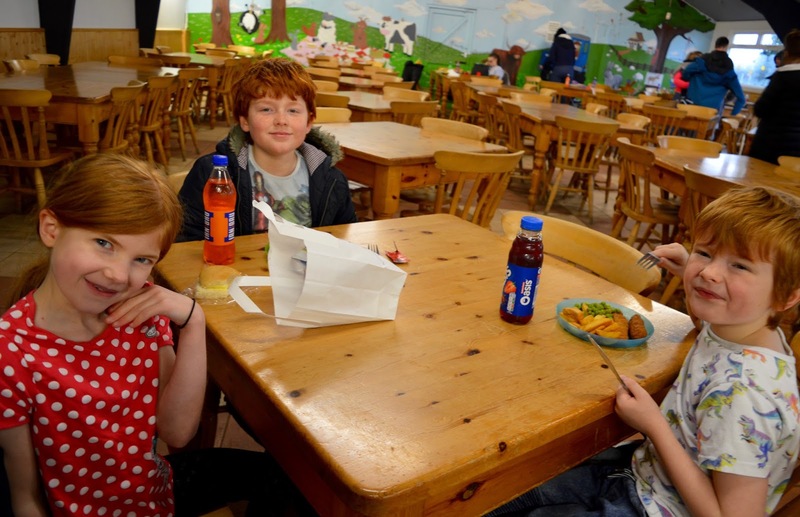 Hot kids meals are available as are picnic bags too. Our lunch bill was super cheap for what we ordered and the cafe is bright and family friendly with microwaves available if needed. The coffee is decent too. 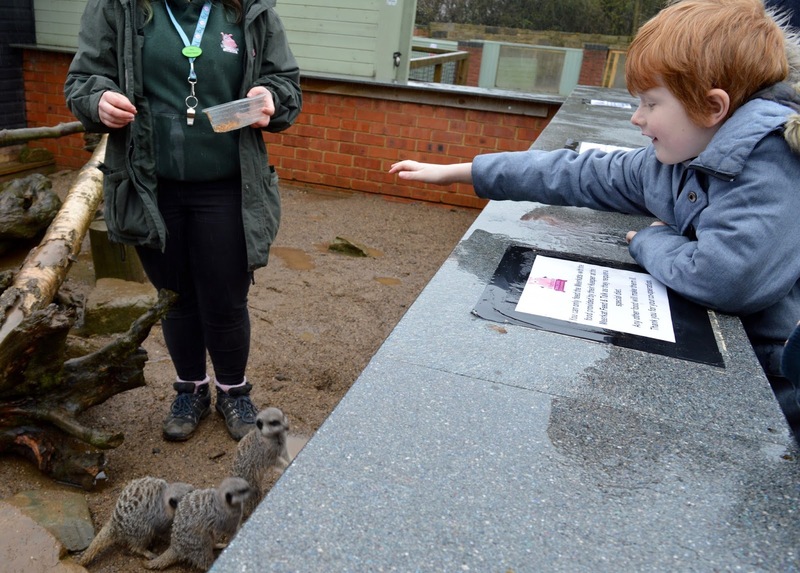 There was a very brief respite from the rain and just as we'd finished our lunch a Meerkat talk was starting and we got the chance to feed them some maggots! Yuck! But then the rain started again so it was back indoors for the meerkats and us. 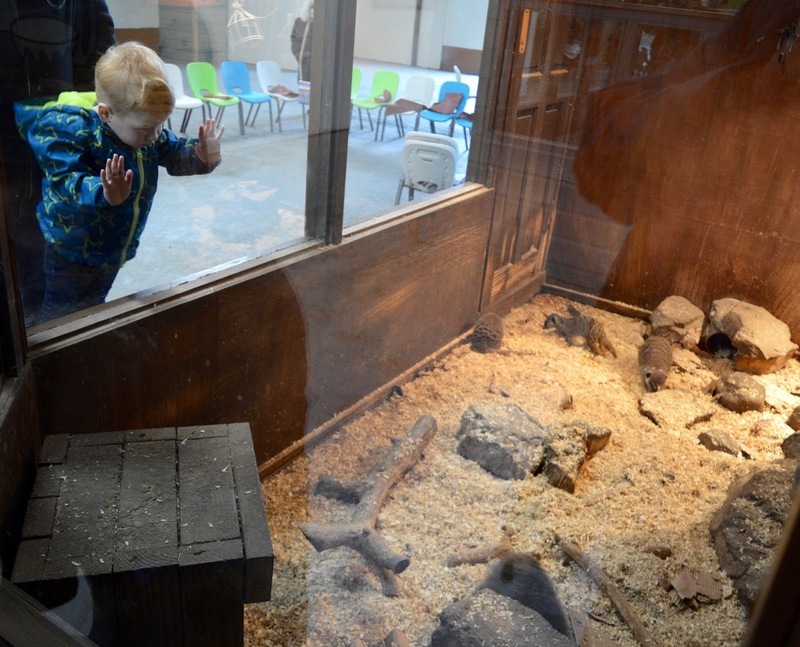 All of the animal enclosures and reptile houses are easy for kids to look inside and accessible. We spent a good 10 minutes trying to encourage the parrot to talk. We didn't manage it this time but we have in the past. 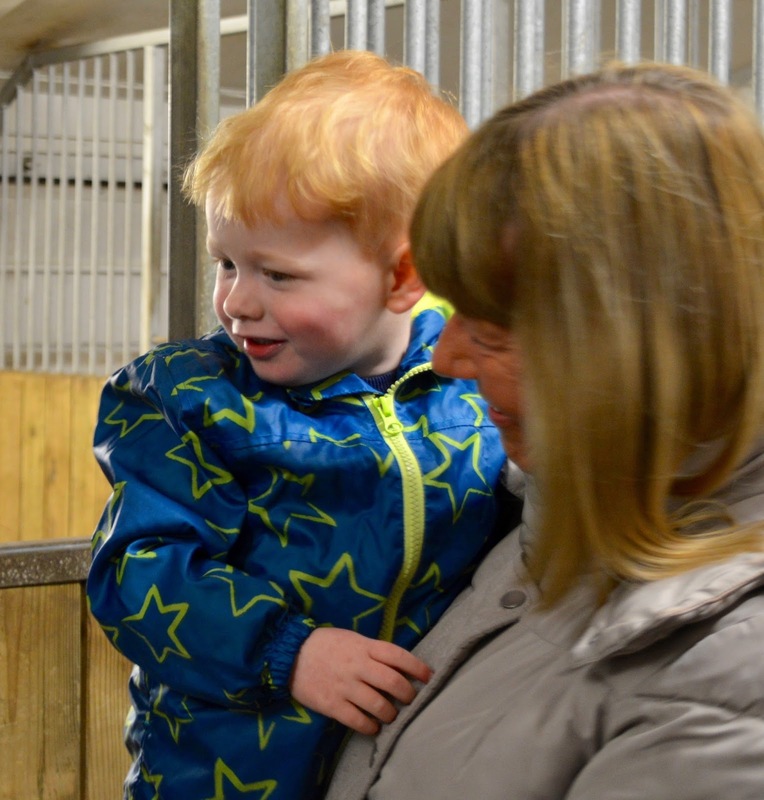 Whitehouse Farm also has it's own softplay centre which is included in your admission. I'd say it's perfect for 2-10 year olds and our kids didn't want to leave. They spent a good 30 minutes playing inside as us grown-ups had a seat and a catch-up. 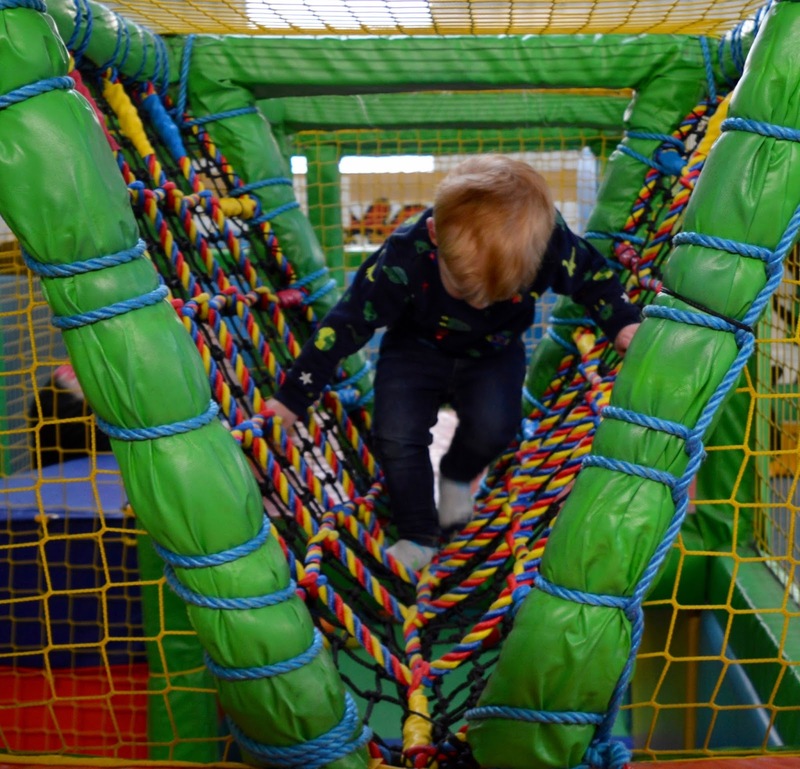 We mentioned that if this softplay wasn't part of the centre, you'd easily pay £3 ish to enter and not grumble. It's perfect for when the weather is bad and the kids can't get out in the park but still want to let off some steam. 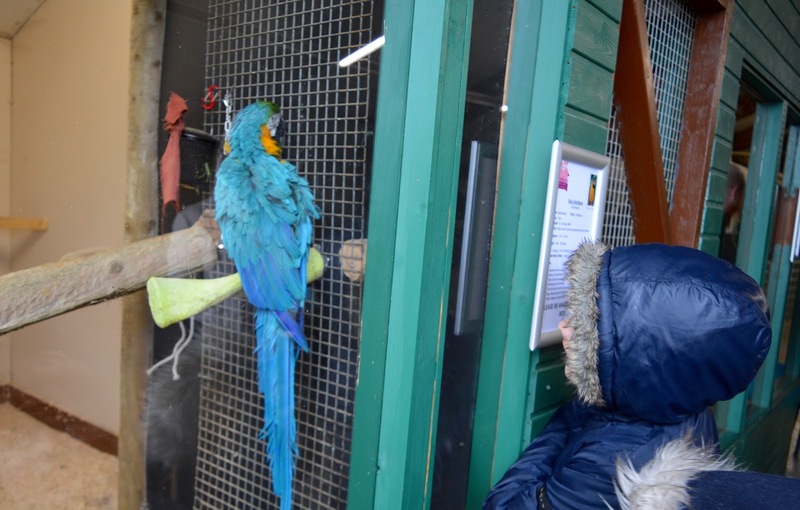 We dragged the kids out of softplay to join in with some Easter party games and to meet the Easter bunny before popping our hoods up and saying hello to the owls and birds of prey (which are outside). 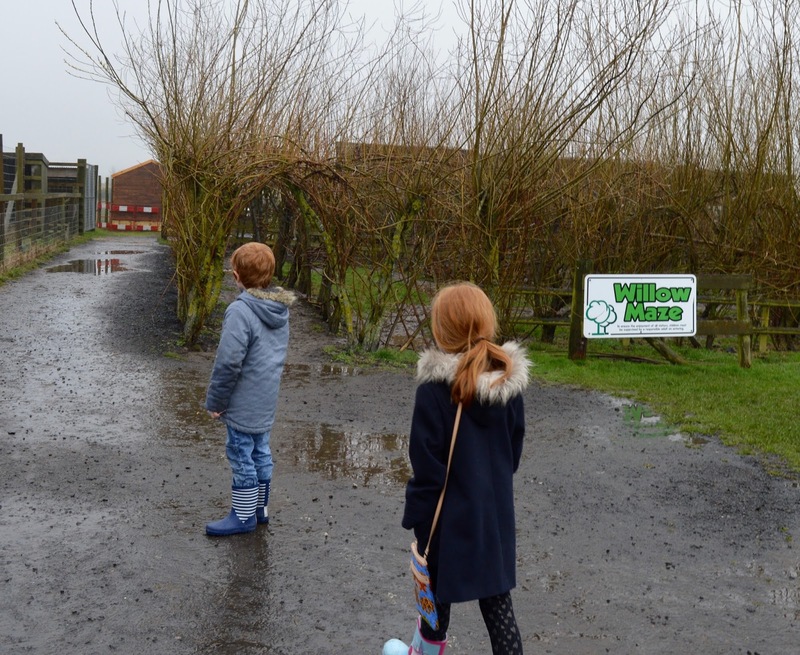 The kids insisted on walking through the willow maze although it was very muddy! We thoroughly enjoyed our trip to Whitehouse Farm in the rain and were there for over 5 hours. There was so much going on and we loved the new upgrades to the site. If you're looking for ticket offers, I'd highly recommend browsing their Facebook page as they often run discounts and special offer days. This is the best place to keep up to date with upcoming events too. 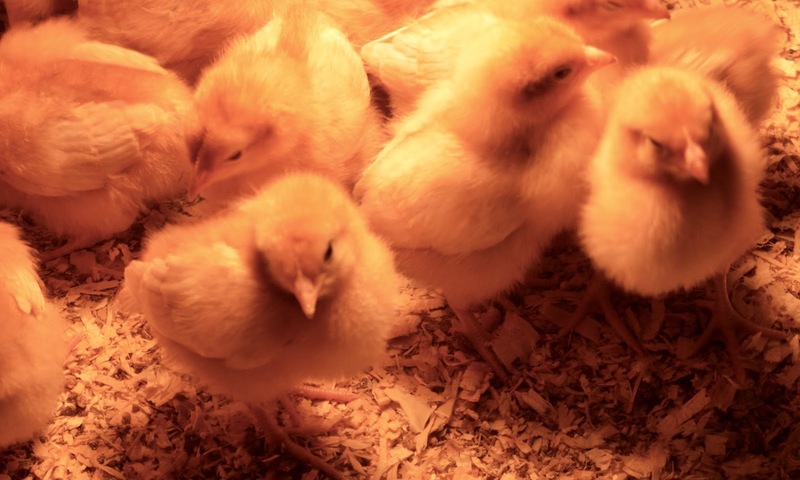 How cute are the chicks and lambs! I really really want to go, I think this might go on the list for when our niece and nephew come and visit in the Summer! Looks like an ace day! We haven’t been for a couple years but always enjoyed it. Love th games on the floor like that Chinese restaurant we ate at in soho! 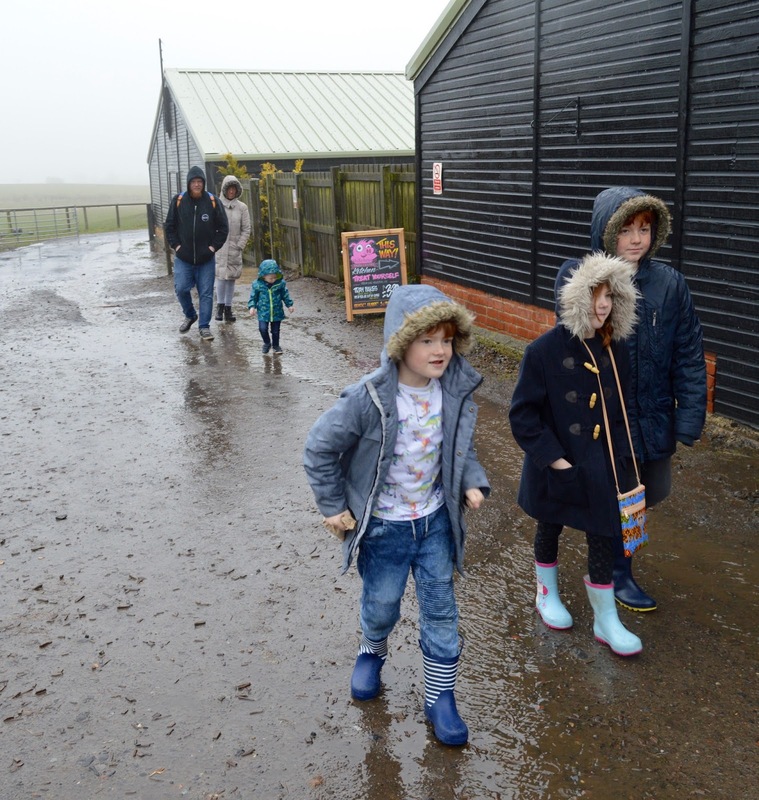 We loved whitehouse farm when we went at christmas! 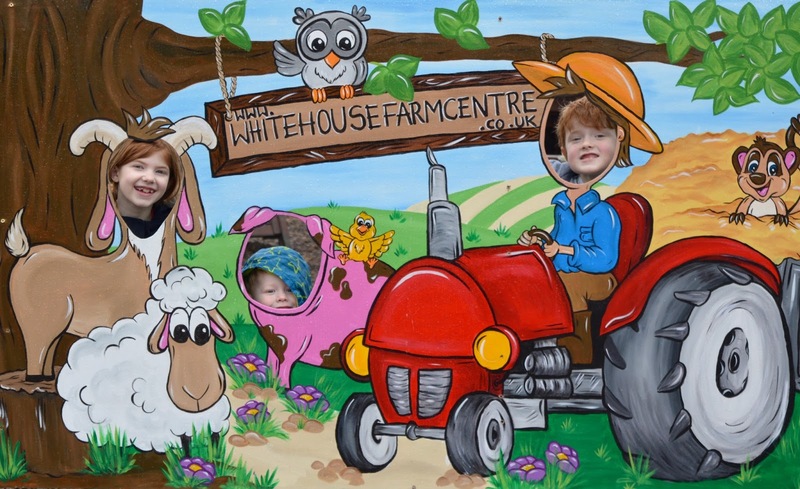 We love Whitehouse Farm, we don't get to go that often as I don't drive but its a real treat when we do. 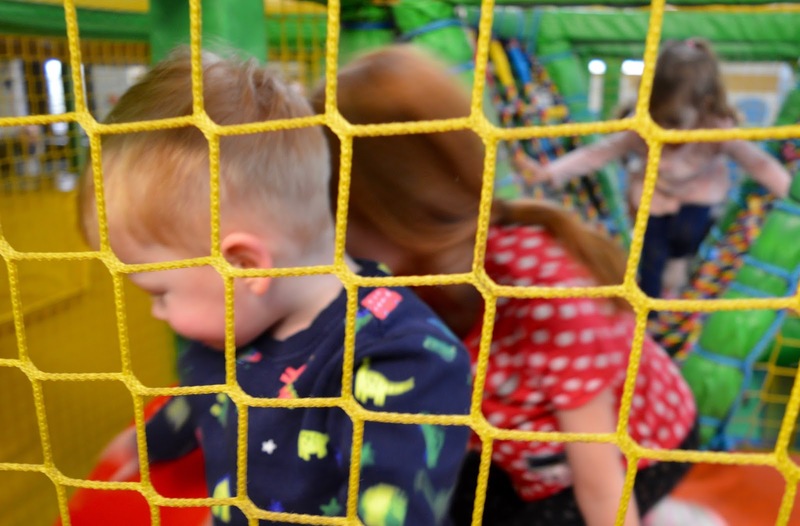 Last time we went was a school day and we had the whole softplay to ourselves!